Have you ever thought about where to go or what to do after you have learned to scuba dive besides that occasional dive trip? Or maybe you are an experienced scuba diver looking for an active group for both diving and socializing. Dive no further, Pristine Azul is a dynamic North Jersey Dive Club and our group is dedicated to promoting dive safety, learning about the underwater world, growing the sport, along with gathering for meetups and other adventures. 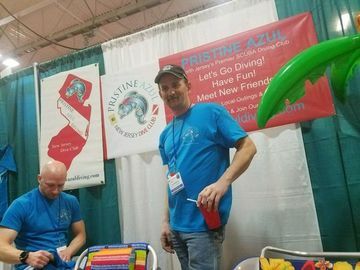 Members have the opportunity to engage in scuba diving as well as other fun social activities in the diving community. Whether you want to get trained or get in the water, get together with us!